Announcing the DEVOPS 2018 workshop session by Microsoft! 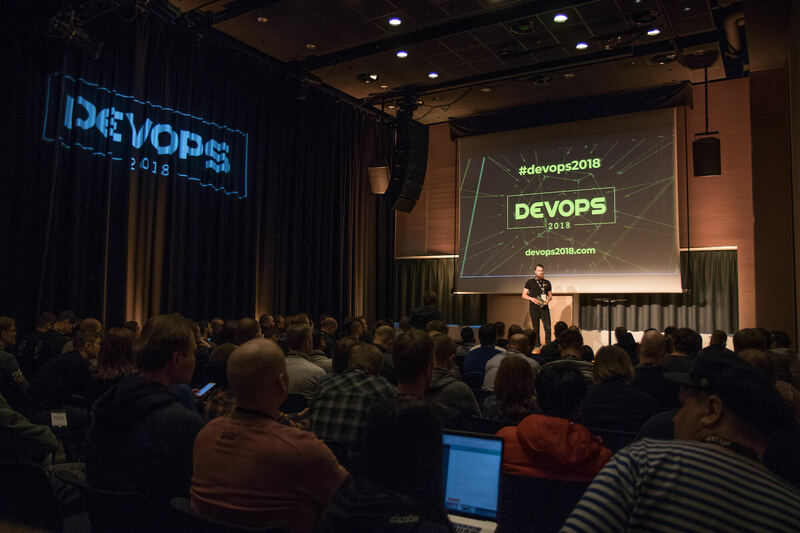 Our annual DevOps conference is taking place this December in Helsinki and it wouldn’t be possible for us to provide our event guests a high-class, thought-provoking program mix of talks and workshops without our event partners. 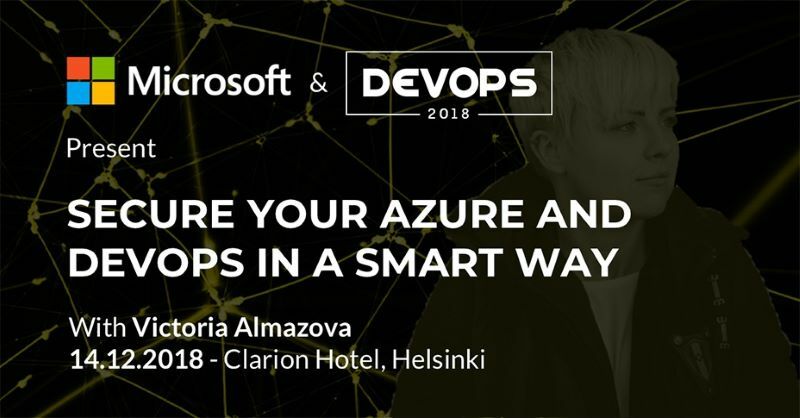 We’re honored to have Microsoft as a DEVOPS 2018 Platinum Sponsor, bringing great value through insights both in the form of a talk by Victoria Almazova and by hosting a workshop session on Thursday the 13th. Today, we’re proud to present Microsoft’s workshop details in a session titled: "DevOps on Azure"
This session is targeted at members of DevOps teams, including both developers and operations roles. We will go through the relevant features of Azure and discuss best practices. You will have an opportunity to practice deployments in practice labs. As this is a hands-on workshop, please bring your laptop. If you have an existing Azure subscription, the labs can be carried out with it. Microsoft will provide Azure credits for the workshop for those who don’t have existing subscriptions. The workshop is delivered by a team of Microsoft employees focusing on DevOps methodologies and cloud technologies. Microsoft believes that DevOps is the union of people, processes, and products to enable the continuous delivery of value to our ends. DevOps is a part of the revolution happening right now with the cloud and containers. Development has improved a lot regarding the delivery time, flexibility, and tools sets. Instead of designing and planning everything up front, now developers are running continuous experiments, and they are using the results for improving development cycles and delivery. DevOps brought us more effective ways of using automation, cloud resources, and containers to spin up and run systems faster. Cloud, Continuous Delivery, and Continuous Deployment, code-driven configuration are changing the rules. However, there are still requirements, compliance, and security. How should all that be placed in DevOps and the Cloud? How to avoid losing control of cloud resources, maintain the proper security level, and not be a bottleneck for DevOps? Microsoft Azure comes with tools that help you achieve DevOps goals and manage governance and control through the effective and efficient use of Azure resources. This is where Azure Blueprints and Policies come in. Azure Blueprints is designed to help with environment setup through the declarative way to orchestrate the deployment of various resource templates and other artifacts like role assignments, resources templates, and policies. Policies enforce different rules and effects over resources, so they stay complaint with organization standards and regulations. Moreover, infrastructure as code provides powerful advantages for security, such as full visibility into the configuration details and availability automatically enforcing security rules at runtime. Azure DevOps services (previously, VSTS) helps with continuous integration and test automation to build pipelines from development to test and onward to production. This is a perfect place to build security mechanisms for securing subscriptions, enabling secure development, and giving visibility of the security status by alerting and monitoring. There are opportunities to build third-party security solutions or start with Microsoft via the free Secure DevOps Kit for Azure (AzSK). How to combine all of those services and implement security controls the most efficiently? DevOps 2018 is a great place to find out all of the details about DevOps and DevSecOps practices. Session "Secure your Azure and DevOps in a smart way" will help you get a good picture of how Microsoft can help boost DevOps in a secure way. This technical session will show how to implement and maintain compliance and security in your organization. You will leave this session confident about how to avoid the common traps in building and implementing security controls and using them the most efficiently.